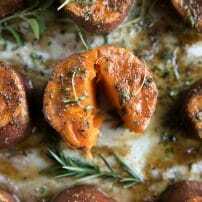 Easy Herb and Brown Sugar Roasted Sweet Potatoes made with a handful of simple ingredients such as butter, brown sugar, fresh herbs, and sweet potatoes are guaranteed to become your new favorite sweet potato side this holiday season. 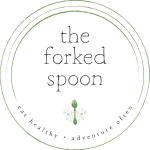 Sweet potato recipes of all shapes and sizes are my favorite and include this Easy Roasted Brussels Sprouts and Sweet Potatoes with Tahini Sauce, Cranberry Apple Pecan Pilaf with Sweet Potatoes, and Sweet Potato Nachos with Tempeh and Roasted Squash. 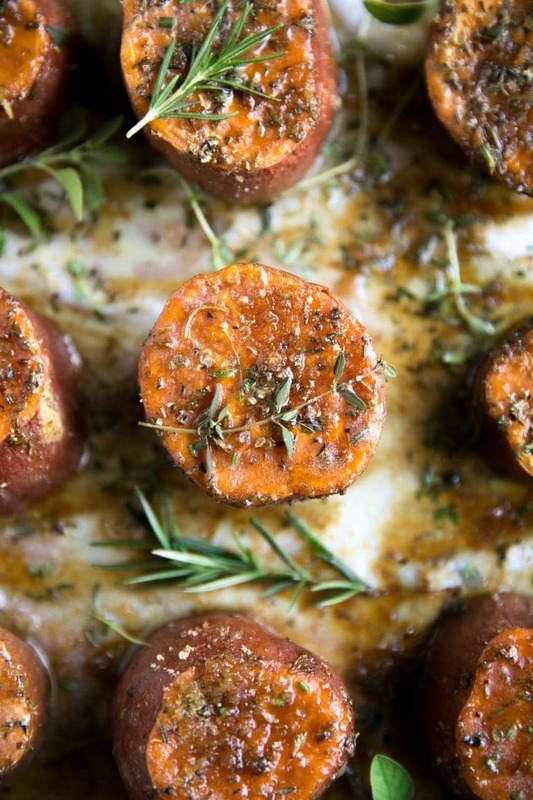 Roasted sweet potatoes with brown sugar. One may find themselves asking- does it get any better? Now, in years past I would have said, nope. Probably not. There’s no way. Assuming, of course, that you are a sweet potato fan. 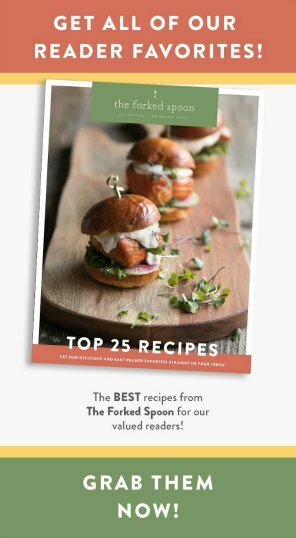 If you’re not, then, well, I have no idea what you’re doing here because, umm, this entire post is about sweet potatoes. 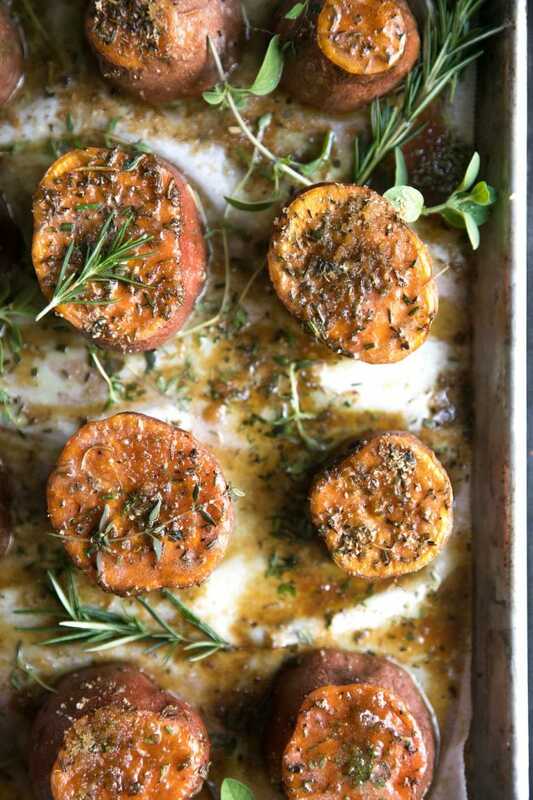 And well, let’s just say this post will be all about delicious, wonderful, super duper healthy sweet potatoes with brown sugar, herbs and butter (ok, that last part, not so healthy). But you catch my drift. 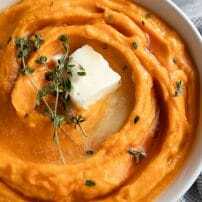 Considering I didn’t try my first sweet potato or yam until I was well into my twenties, it may be surprising that I have so many recipes on this little site of mine that include them. But the sweet potato and me? well, I guess you could say it was love at first sight (or bite…or whatever). 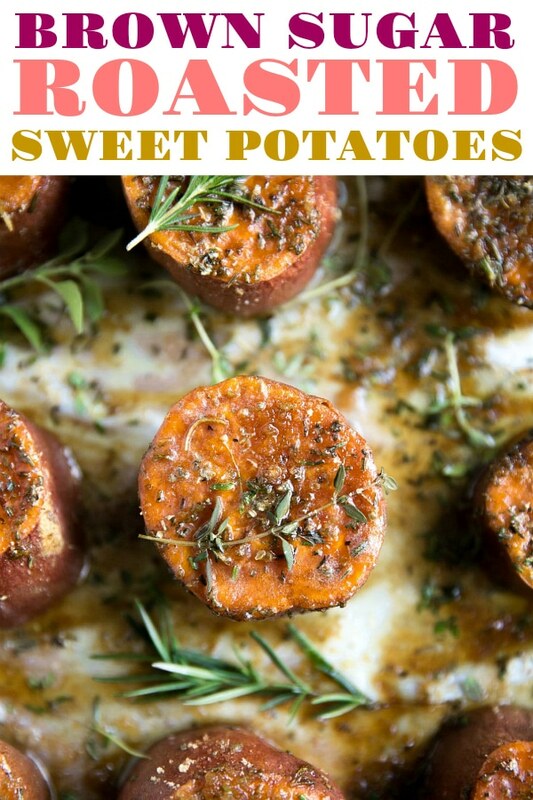 Sweet potatoes are one of those things that I eat year round and never grow tired. Even on Thanksgiving, the sweet potatoes, stuffing and cranberry sauce (preferably all mixed together) are my favorite parts. Ok, that’s not entirely true- I am known to eat at least 3 buttered rolls and at least two helpings of salad; but, you know what I’m saying. Sweet potatoes are a must. Always. And always meaning not just on Thanksgiving. Wait. Are Sweet potatoes actually good for you? Yes. A million times yes (in moderation). One medium sweet potato contains approximately 103 calories. Despite their naturally sweet taste, they do not create a sudden spike in blood sugar. Instead, sugars are slowly released. Magnesium. Much needed for the health of the arteries, heart, and nerves. 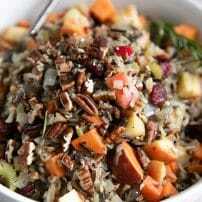 They are high in carotenoids like beta-carotene and other carotenoids which benefit eyesight and the immune system. They are HIGHLY versatile (more on that later). Fortunately, sweet potatoes are super versatile (told ya) and can be prepared a million ways- sweet, savory, stuffed, boiled, baked, etc. 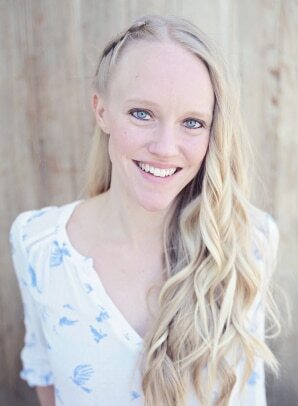 Given that they are sweet by nature, amplifying this sweetness tends to be the favorite. Some people love to cover them with marshmallows or soak with orange juice. Both are fantastic (although, if I’m being honest, the first may be a little too sweet for even my sweet tooth). 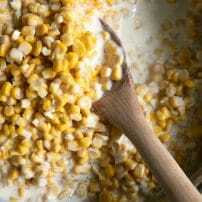 I wanted to prepare them in a way that would combine the sweet with savory– you know, only my favorite flavor combo on earth! And the result was even better than expected. The best part? These potatoes are incredibly easy to prepare, make a fantastic addition to a holiday gathering or a simple ordinary family meal. Plus, the leftovers? Just as good as the day they came out of the oven. 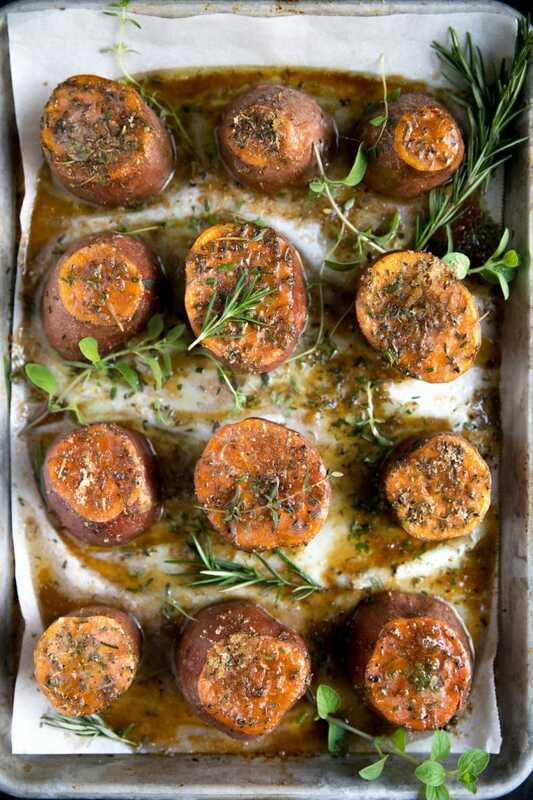 So, grab some sweet potatoes and fresh herbs and see for yourself! Preheat oven to 350 degrees F. Line a large baking sheet or jelly roll pan with parchment paper. Set aside. Wash and scrub the potatoes and dry thoroughly. Cut off the end of each potato and then cut each potato in thirds (each piece should be approximately 2 inches high). Transfer the 12 sweet potato sections to the prepared baking sheet. Melt the butter in a bowl and generously brush each potato all over (reserve some butter for the next step). In a small bowl, mix together the brown sugar and fresh chopped herbs. 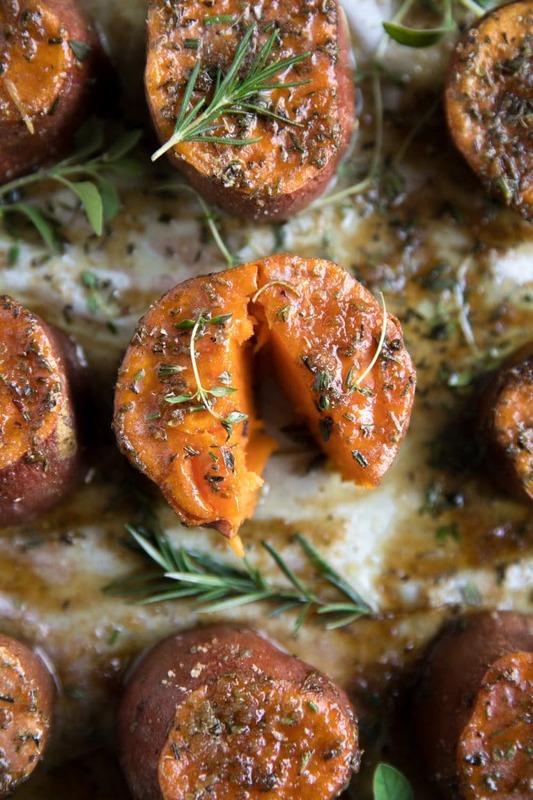 Press 1-2 tablespoons of herbed brown sugar on top of each potato and drizzle with butter. Sprinkle with salt, pepper and ground cinnamon. Bake the potatoes for 40 minutes and then turn down the heat to 325 degrees and cover the potatoes loosely with a sheet of foil. Bake for an additional 20-30 minutes, or until the potatoes are fully cooked and easily pierced with a fork or knife. Pinned! There’s a lonely sweet potato in my kitchen waiting to be covered with butter and herbs.